Doctor Who: Revisiting The Original Unbroadcast Version Of AN UNEARTHLY CHILD | Warped Factor - Words in the Key of Geek. As we begin a celebration of the First Doctor's era, Matthew Kresal goes back to the very, very beginning. With so many episodes of Doctor Who that aired in the 1960s missing from the BBC archives, it seems incredible to consider that somehow we still have an episode that was never even broadcast. 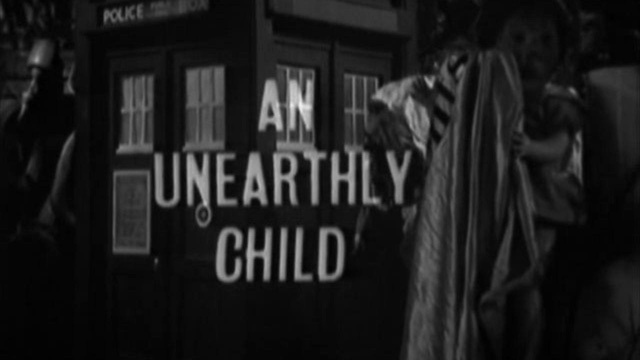 An Unearthly Child, that all important and legendary episode of what has become the world's longest running science fiction television series, was in fact made twice. 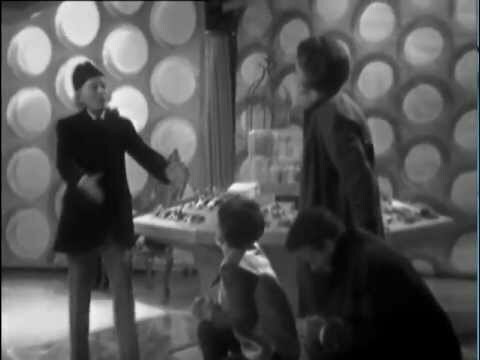 While conventional wisdom has it that remaking something usually doesn't improve upon it, there are exceptions to every rule and the unaired version of An Unearthly Child (sometimes incorrectly called a “pilot” episode) proves that. The changes are noticeable within seconds of the titles starting. There's an odd thunderclap effect put on the opening titles and the shots of I.M. Foreman's junkyard are different, feeling jerky and almost disorientating at times. Indeed, there's an immense visual difference between this version and the transmitted one as there's far more emphasis placed on keeping the camera mobile throughout, despite the multi-camera set-up that the episode (and indeed the next quarter century worth of episodes) was filmed under. Cameras bump into things, as do actors on occasion, with William Russell knocking over a mannequin shortly upon entering the junkyard. The mobile camera leaves the entire episode feeling somewhat amateurish much of the time as the camera shakes and wobbles, sometimes struggling to cope with what its being forced to present on-screen. Where the changes are most evident is in the back half or so of the episode once it arrives in the junkyard. Hartnell's Doctor is a very different kettle of fish than the version we would eventual get both inside and out. The characterization plays up the aspect of the “stranger”, making the Doctor feel less like a warm and grandfatherly figure and more a menacing one whom you could understand Ian and Barbara being suspicious of all too easily (indeed with 21st century eyes one might be forgiven for thinking something far more sinister might be taking place in the junkyard). Nowhere is this more evident than in the lengthy scene in the TARDIS console room where the Doctor is less amused with Ian's struggling to understand than coming across as an almost gloating mad scientist figure. Even the costume is different once the hat and scarf go by the wayside with Hartnell wearing a more contemporary suit instead of the more familiar Edwardian garb. He isn't the only one whose different though. One thing I do lament not carrying over to the transmitted version is Carole Ann Ford's Susan. While a greater emphasis was placed on her being a teenager in that version and the subsequent series, what this version presents us with is a far more intriguing characterization. Like Hartnell's Doctor, there is more emphasis placed on the strangeness of this schoolgirl who clearly knows more than she should about some things but not about others, which Ford plays well in both versions. 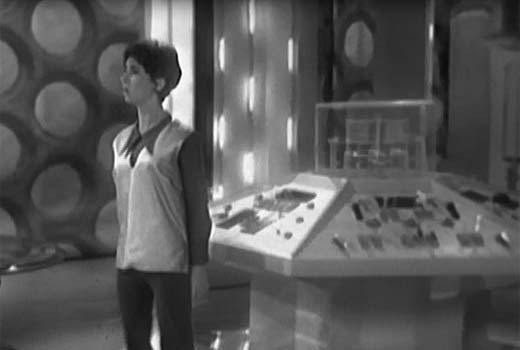 The differences are most apparent in the aforementioned TARDIS scene where Ford not only wears a different costume but comes across with a different demeanor, less fussy than she is in the transmitted version. While it has a moment or two that doesn't work (such as the drawing scene in the classroom that was replaced with the French Revolution book in the transmitted episode), it's a far more intriguing take on Susan than we would ever get onscreen. Of all the characters, Ian and Barbara change the least between the two. In fact one might argue they don't change at all, right down to the performances of William Russell and Jacqueline Hill. Ian and Barbara's motives stay the same and their reactions to the interior of the TARDIS are identical, though there's an extra line or two of exposition given to the Doctor to make the scene perhaps a tad more understandable. It's interesting to consider that the two human characters, the ones that viewers would most recognize and identify with, changed hardly at all between the two versions which goes to show just how important it was to get the show's other two leads right from the very first episode. What's perhaps most remarkable is that Anthony Coburn's script doesn't change much between the pilot and the transmitted version. With the exception of the dropped “forty-ninth century” line and the change to what Susan is doing after her teachers leave her in the classroom, virtually all of the dialogue is the same. The Doctor's lines don't change very much at all, something which is surprising given the vast differences between characterizations of the two versions. What has changed has little to do with the script but in performances and emphasis, showing just how important it can be to get the characters right. What's also interesting to consider is that the episodes that followed and make up the rest of what we today consider An Unearthly Child were not re-shot to accommodate the new version but instead continued on from this, with the production team only later going back to record this episode again. That change had a knock-on effect putting the show's premiere date back a week to the now famous 23rd of November and putting the first Dalek story out a little later than it would have been otherwise. Just how much did Sydney Newman's insistence on a second version of this episode mean for the show's future and would this version, and that week's difference in broadcast date, have made to the show's history? We'll never know of course but it's interesting to consider. In the end, life rarely hands out second chances, but in the fall of 1963 Doctor Who got one thanks to the persistence of Sydney Newman, and we as fans should forever be thankful for it. While the episode has its pros, it also has plenty of cons from lacking a polished look to characterizations that aren't quite there. What we're left with, when all is said and done, is an intriguing look at Doctor Who's earliest days and what might have been.